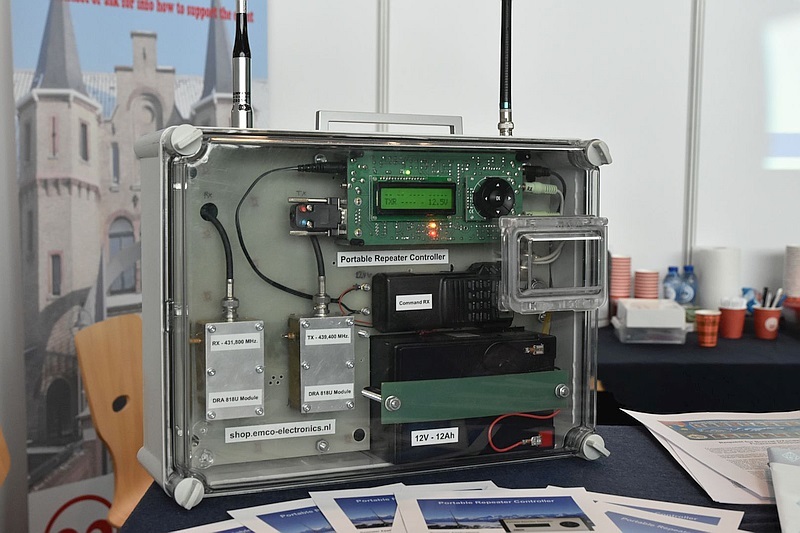 This microprocessor-based Portable Repeater Controller was designed to quickly build a fully functional repeater ‘in the field’ in less than no time. 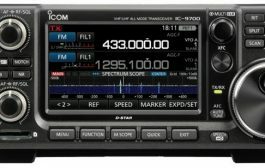 Due to its universal design it can be used all the way from classroom instruction to 24/7 repeater operation. 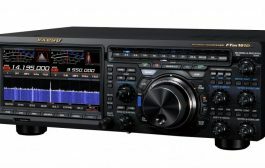 A fully functional amateur radio repeater system is created by just connecting two radios, an antenna, a power supply and optionally filters. 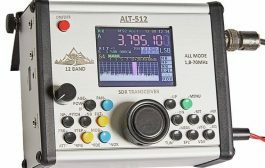 Examples of the use the Portable Repeater Controller are two amateur radio repeaters PI3ZAZ and PI6ZAZ, and a mobile repeater station for mountain rescue activities by the Swiss Alpine Rescue organization. 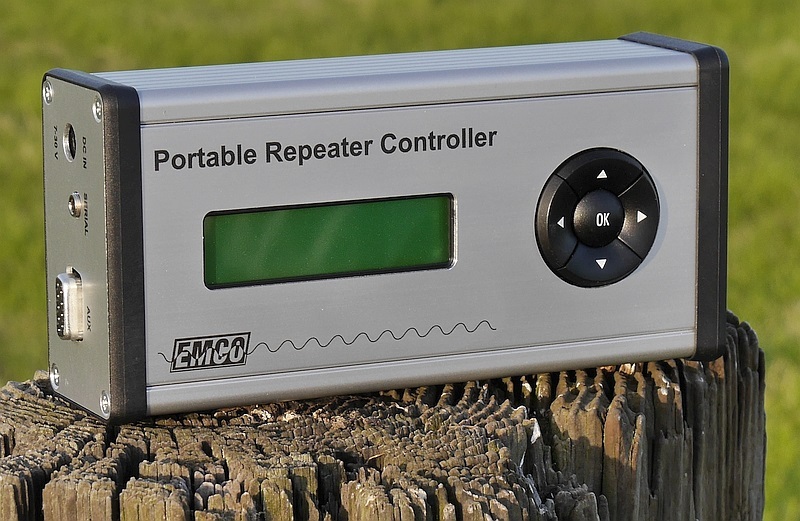 The Portable Repeater Controller is designed by Leo PA0LEZ and Ivo PA1IVO and is made available via Emco Electronics. With a PC connected via the serial interface. 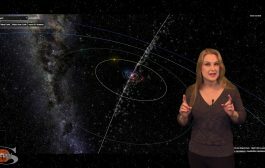 By storing different configurations on a PC, different repeater configurations can be activated with just a few mouse clicks. DTMF remote control via the main receiver input. DMTF remote control via a sub-band receiver input, creating a private configuration channel. Up to four controllers are addressable and can be connected to a single command receiver. Locally on the controller, without any additional equipment, by using the LCD and the high quality navigation buttons. In this way, last minutes changes are possible anywhere, anytime. PCB width x height: 162.8 x 75 mm. See also the PCB Mounting details document. 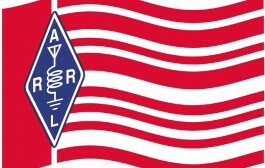 Please check your local amateur radio regulations if (additional) licences are required to set up your repeater system. We are happy to share our extensive knowlegde about building repeater systems with you. Therefore, Emco Electronics offers free initial integration support to help setting up your (portable) repeater system with a Portable Repeater Controller (the initial integration support consists of e-mail correspondation in English or Dutch). Instruction Manual (pdf) for the Portable Repeater Controller (firmware version 2.0). Serial Communication Protocol Specification (pdf) which gives you all the details if you want to write your own monitoring and configuration software. PCB Mounting Details (pdf) to build the Portable Repeater Controller PCB on a front panel. Dimensions in mm. Version revision history (txt) file with the version history of all documents and all software. The software in the Portable Repeater Controller (PRC) is called the firmware. When a new version of this firmware becomes available, the PRC can be upgraded. Read chapter 10.1 of the instruction manual for all details. Free PRC Firmware Updater Software (zip file). The latest firmware to download for owners of a Portable Repeater Controller from Emco Electronics: hex file version 2.0 (Save As PortableRepeaterController_2.0.hex). Previous firmware version 1.4 is also still available (Save As PortableRepeaterController_1.4.hex). 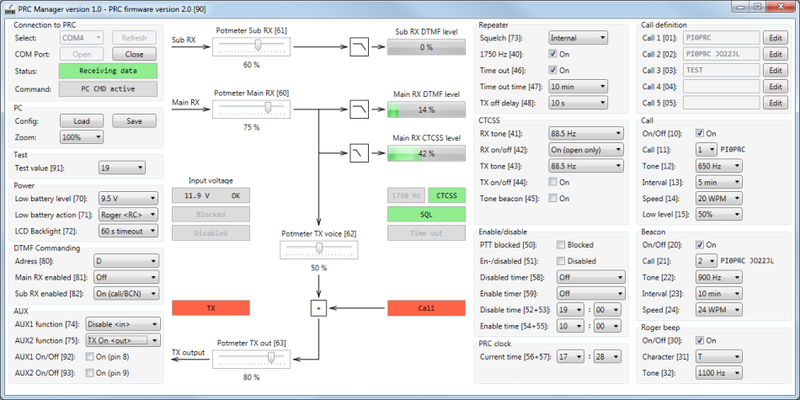 The PRC Manager is free Windows software for remote configuration and monitoring of the Portable Repeater Controller. Read chapter 10.2 of the instruction manual for all details. 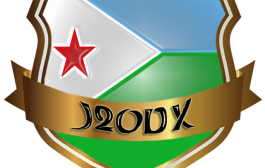 Free PRC Manager software (zip file). The PRC-1 (Portable Repeater Controller (no housing)) is a ready build and tested PCB with the latest firmware. It is a fully functional portable repeater controller, only without the PRC-HOUSING (Pre-drilled/milled housing for PRC-1). The PCB can be mounted by using the four 3mm mounting holes in the PCB. The PRC-HOUSING (Pre-drilled/milled housing for PRC-1) is a 1455K1601 Hammond enclosure. It has pre-drilled/milled holes that fits the PRC-1 PCB and comes with functional texts for all external connectors. The PRC-BTN (Set of extra buttons) is an extra set on high-quality navigation buttons (up/down/left/right/OK), the same as already mounted on the PRC-1 PCB. This extra set of buttons is mounted on a small PCB. Via de AUX connector, these buttons can be connected to the PRC-1 PCB which creates an extra interface (for example on the outside of a transparent box that carries a mobile repeater). The PRC-SER (USB serial cable) connects with a special 3.5 stereo plug to the PRC-1 (5 Volt TTL) and with a standard USB plug to your PC or laptop. This cable contains FTDI serial communication chip. No extra soldering required! All prices including 21% VAT. Shipping costs not included.